Cast Out is a rare Strength action card. It is part of the Core Set. In addition to the card's availability in the Core Set, one copy is included in the Redoran Onslaught theme deck. 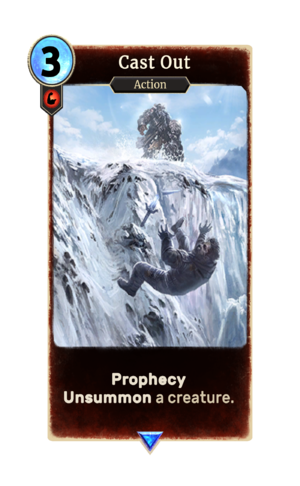 One copy is also obtainable in the Band of Survivors deck as a potential reward from The Hungry Pack.